Unlock unlimited thrills at Universal Studios Singapore with an Annual or Season Pass! Get all the details you need in this USS Passholders Guide. Ticket prices are updated with 2019 revised rates. What is USS Annual/ Season Pass? Why get one? 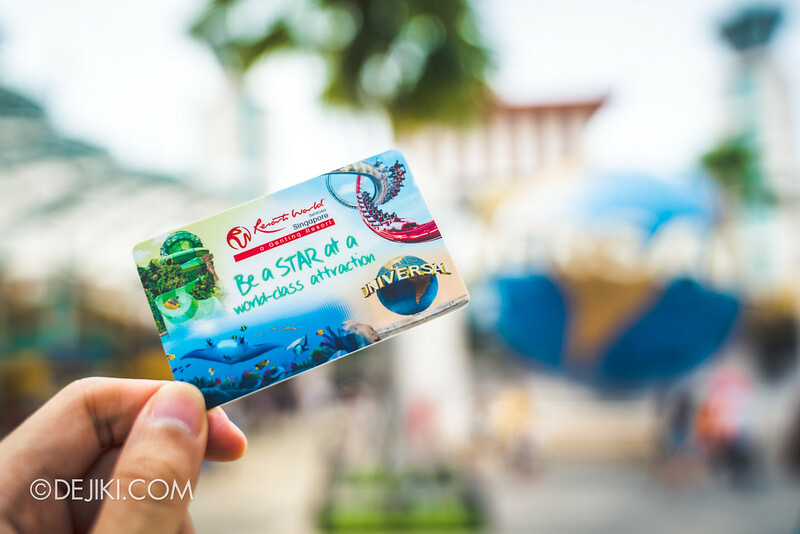 The USS Annual/ Season Pass is a membership programme at Universal Studios Singapore theme park. Passholders can enjoy unlimited access to the park during normal operation hours for the period of their membership. 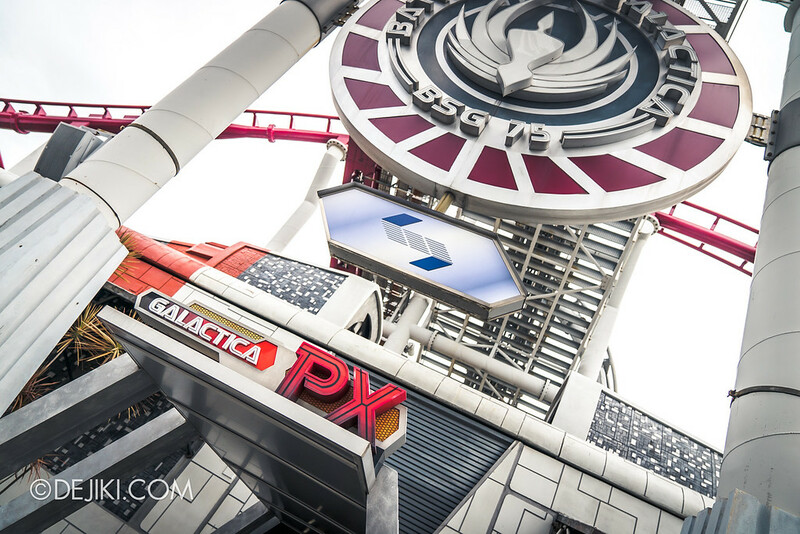 There are also special perks for passholders, and this article will highlight some of them. If you intend to visit the park at least 3 times in a year, then the Annual Pass will offer savings over buying individual day tickets. The USS Season Pass ($108 for adults), on the other hand, is just a modest top-up from a One-Day Pass ($79). Apart from unlimited entry to the park during the day, you’ll get to save some money with in-park privileges for select F&B, shopping, and services. Fan of Halloween Horror Nights? Passholders can buy the HHN Frequent Fear Pass and RIP Tours at very special rates! 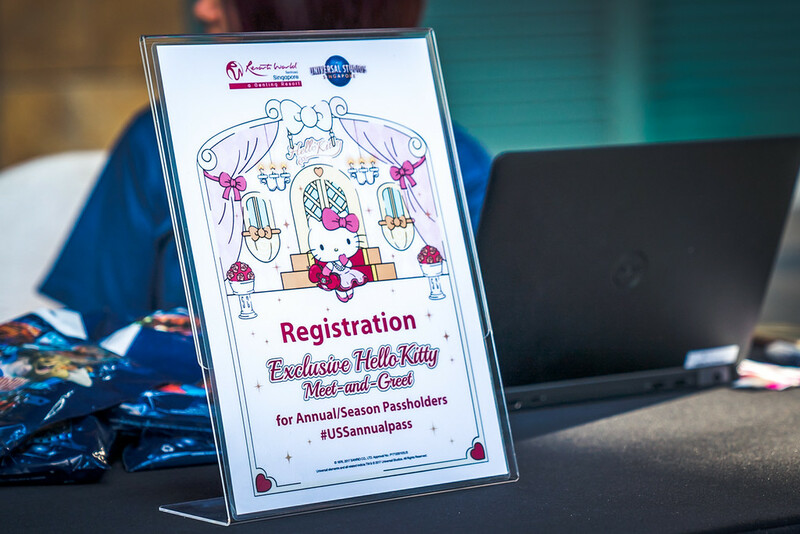 The park has organised exclusive events for passholders to enjoy, such as special Meet and Greet with characters and preview sessions to shows like Elmo’s TV Time. During seasonal events like Jurassic World: Explore and Roar, you’ll also receive members-only perks. In last year’s Minion Breakout Party, passholders got free carnival game vouchers and temporary tattoos. Breeze past the morning park entrance madness with Priority Access for the first 3 hours of park opening. This members-only gate is located at the left-most side of the park entrance, and will let you bypass the long queues to get in! Can’t get enough of this special treatment? Add Universal Express Unlimited to your membership for just $130 (Annual Pass) or $100 (Season Pass). Unlimited Express starts from $50 for a day’s access for other park guests! You can also get $10 off Express Passes for your non-member friends. Had too much fun? Get a quick rest at the Membership Lounge (within the Membership Lobby in Hollywood). Both USS Annual and Season Passholder get to enjoy the following benefits until 31 October 2018. From 1 November 2018, the list of benefits will be revised, with Annual Passholders retaining all benefits. 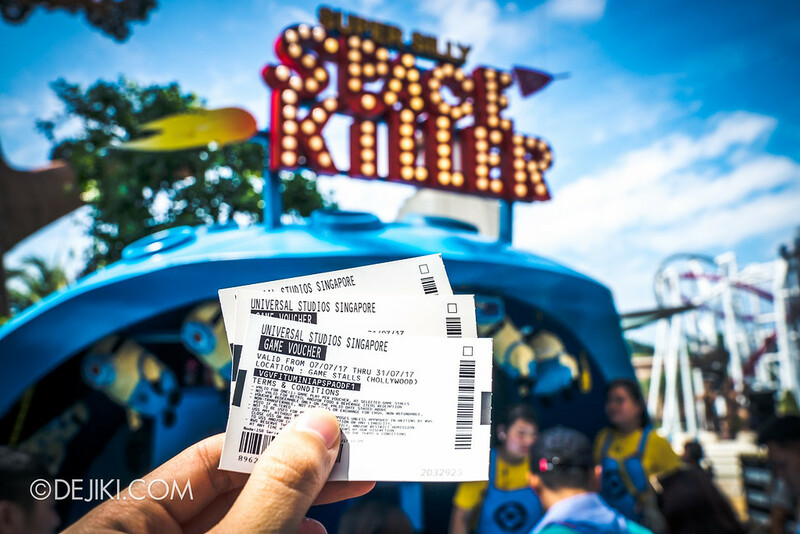 The Annual/ Season Passes are not typical theme park tickets (whether as eTicket or paper ticket), although you will be given one at point of purchase to enter the park first. Then, you will need to apply at the Membership Lobby to receive your shiny, plastic, and personalised membership card. Buy your ticket at the park entrance or online. Enter the park and head straight to the Hollywood Membership Lobby (queue line shown in photo above). Keep your Day Pass ticket after entering the park! Head to the Membership Lobby (near park entrance in Hollywood, or in Sci-Fi City) to upgrade your ticket into an Annual/ Season Pass. For this case, you just need to top-up the difference and don’t need to buy a new pass. 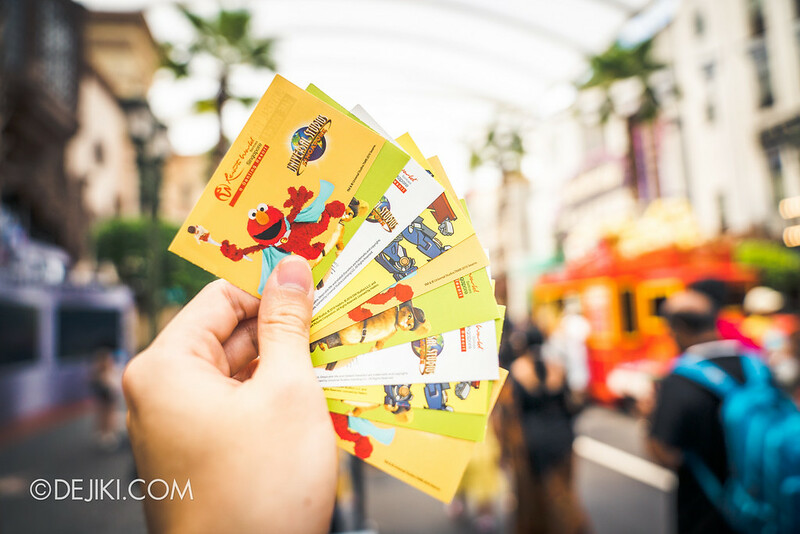 Get 12 months of unlimited access to Universal Studios Singapore with an Annual Pass. Universal Express Unlimited access for participating attractions for the passholder during normal park operating hours. Express access is not available at Canopy Flyer, Treasure Hunters, Amber Rock Climb and Magic Potion Spin. 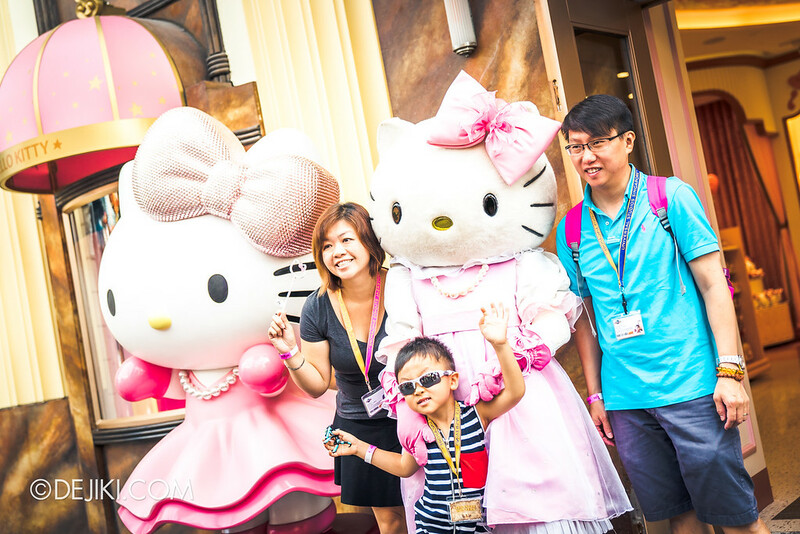 Get 6 months of unlimited access to Universal Studios Singapore with a Season Pass. All the frequently asked questions about USS Passes here! How do I get invited to Passholder events? 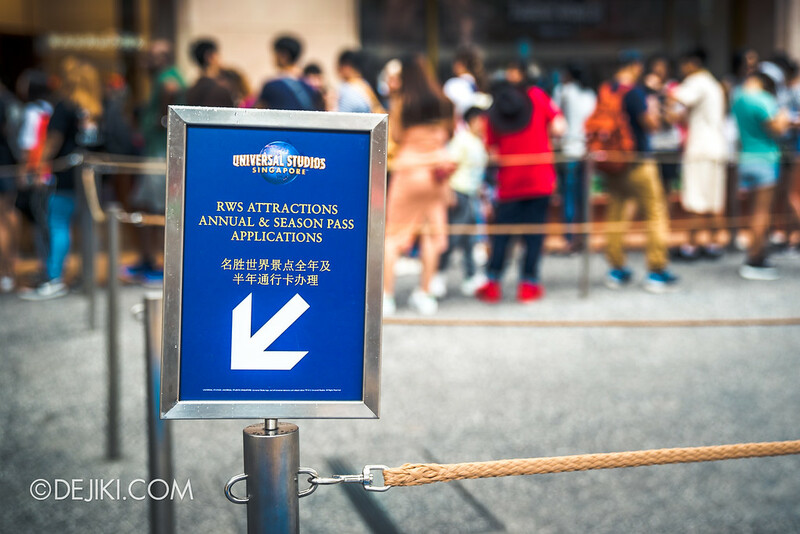 When filling up the passholder application, make sure that your contact details are correct and that you consent to receive updates and marketing messages from Universal Studios Singapore and Resorts World at Sentosa via SMS and Email. How do I renew my Annual Pass? What is the price? 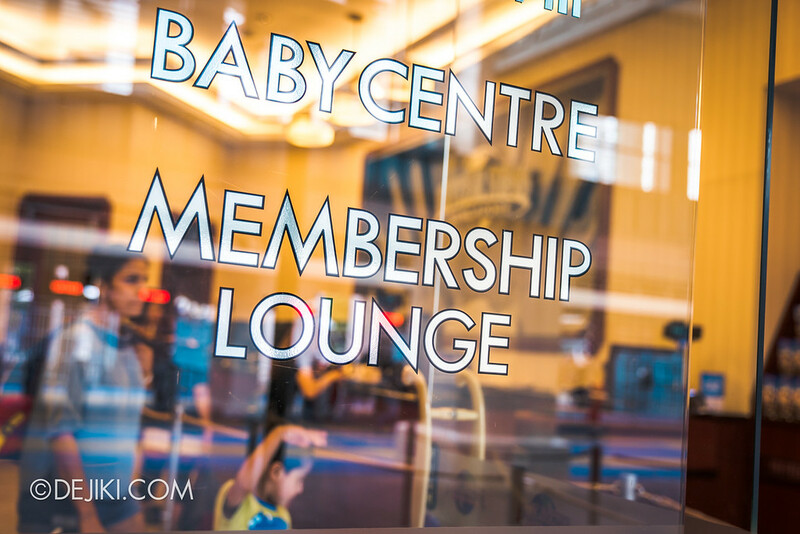 Before your pass expires, simply visit the Membership Lobby to apply for renewal. You will get $10 off the latest price for your existing membership. The validity of your annual pass will be extended by 12 months from the existing expiry date. I bought a Annual/ Season Pass and it says my ticket is valid for 30 days? You have 30 days from date of purchase to visit the park’s Membership Lobby to process your park ticket into the plastic card. I am visiting USS for 2 days. Should I get Two-Day Pass or Season Pass? If you don’t mind waiting in line for the application process, you will save quite a bit of money choosing the Adult Season Pass ($108) over a Two-Day ticket ($145). As of Jan 2019, the 2-Day Ticket has been discontinued. The Season Pass is a cool personalised souvenir, and who knows – you might be back again within 6 months, and you won’t have to pay to enter the park again! How do I qualify for the Student Season Pass? As long as you have a valid Student ID. No, that old matriculation card from more than 10 years ago does not count. Can I upgrade from Season Pass to Annual Pass? According to RWS website, Adult Season Passholders can extend their membership by another 6 months and upgrade it to an Annual Pass by paying $90. This must be done before the Season Pass expires! Can I borrow someone’s Pass to enter the park? No, it is not transferable and each Pass has the Passholder’s name and photograph printed on it. For unauthorised use of the Annual/ Season Pass, the park has the right to refuse admission and revoke the membership. Can I upgrade my normal day ticket to an Annual/ Student Pass? Yes, simply visit the Membership Lobby and pay the difference to upgrade to an Annual Pass. However, do note that some promotional tickets, like complimentary passes, may not be eligible for upgrades. Please ask at USS Guest Services or Membership Lobby to confirm. What is this “Season Pass Trick” I heard about? Instead of paying the renewal fee, an existing Season Passholder would attempt to find a day ticket in the park, or approach other guests for their used tickets, to apply for membership at the upgrade price. While some people have managed to get away with this for years, it is considered dishonest and is strongly discouraged. Is there a “Family” Pass? All USS Passes are for single person use only. You will need to buy separate passes for each family member. Can I use my Annual Pass with Universal Express and bring a friend with me to use the Express line? No, the Unlimited Express access is for the Passholder only. Wow, last time there was Superstar Pass? Fun Pass? Action Pass? The original Annual Pass programme was refined and simplified in 2012, and all the old tiers of Superstar, Action and Fun were discontinued. In the later years, the Season Pass was added to boost park membership. The price came down over the years, making visits to the park more affordable. If you have any other questions do post in the comments and I will try to answer. Yes. The ticket is valid for direct entry to the park where you will need to process your membership to create your personalised Annual Pass. Once you have received your passholder card, you can use it for a period of 1 year. Hi, I’m planning to visit Universal Studios Singapore on the 21-22 of October and wondering if I buy a season pass can I buy and Express pass separately for just the 21st, which should cost about $30-$50 extra? Lastly, The website says I need to buy the seasons pass 30 days in advance which means I can only buy the seasons pass after September 23rd right? Thank you in advance for the help. You can buy the Express Pass separately. If you want to always have Express access, then it’s a $100 top-up for your Season Pass membership. For Season Pass, you can buy anytime, including on the day of your visit to the park. If you buy online, you will need to activate the ticket at the park within 30 days. HI! my season pass will expired this coming oct 5, Can i renew my pass? You can renew your pass two months prior to expiration. Hi.. with 6 month season pass can I go for Halloween night??? Need any top up fees?? Hi , if I purchase e-tickets for uss , can I top up the remaining amount at the counter inside ? Yes, tickets purchased online can be upgraded. Please check at Membership Lobby for upgrade rates for your ticket type. If I lost my uss season pass, can the card be reissued? If yes, need pay for any extra fee? The card may be reissued for a fee. If it’s your first time losing the card, the fee may be waived. How much is a normal express ticket when you have a season pass. As in I will just buy one on one day only and not season pass with unlimited express. And how much is the price of the ticket for friends of season pass holders? Hi… May I know the upgrade rates from 1day ticket to season pass? 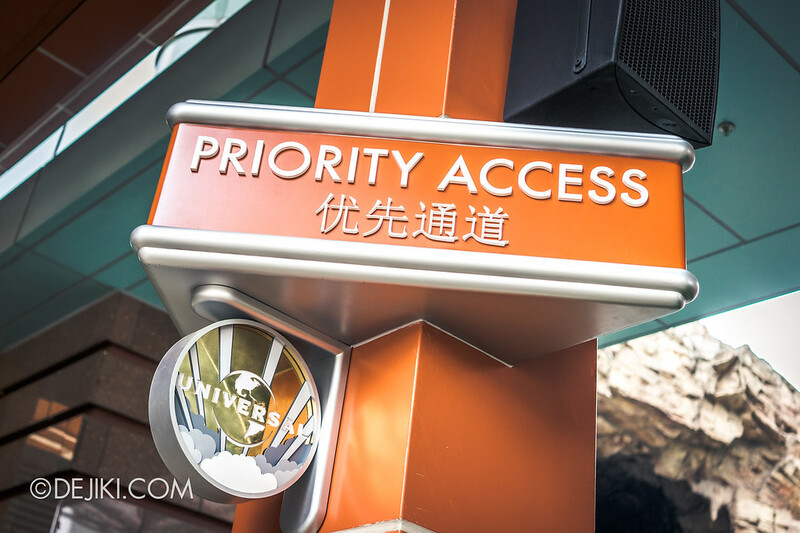 hello, what is “priority entry to attractions uss using annual pass or season pass mean”? i have privilage likes express ticket to attractions but under 3 hours from uss opening time? Hi I hv physical season pass for six month valid. Would like to check six month unlimited entry will be start from first day I register and go into uss, right? Hi, I had purchase the annual pass online and it is for my company event as lucky draw gift, can the winner use the ticket that purchased by me to redeem their annual pass? Hi, can a dependant pass holder apply for a season pass ?